Our younger kittens 3-6 months are presently determined by each kitten’s quality and rarity therefore some kittens are valued higher. For further details about individual kittens please ask. Older kittens 6-12 months are priced individually. They may be available for various reasons such as being held back for breeding assessment. Older kittens are not always less money. Often, older kittens are better quality and very rare colours. Our adult retired breeders are evaluated individually for pricing as well. Often a King or Queen may only have one litter of kittens and be 1 year of age. They will be valued higher than and adult that is 5 years old. We have genetically tested our adult breeding Ragdolls from the foundation up! Our prices include ‘peace of mind’ in knowing that we guarantee genetically healthy kittens and that we are available to answer any questions during their transition into new homes. We are also available for any concerns, educating and discussion down the road. We are RAGDOLL FAMILY! PLEASE NOTE our pricing for 2019 has been revised. Kittens are INDIVIDUALLY priced between $1200 – $1500. ALL of our PET kittens are MANDATORY spay/neuter. Please fill out our adoption form if you are serious about adopting one of our kittens. We want to know about the family our kitten is moving in with! You will be contacted IF you are approved within 48 hours and the kitten selection will begin! You may want to be on a waiting list for a specific kitten or you may have one already picked out if it is posted as being available. Keep in mind that some colours and patterns are rarely posted available due to their rarity or demand and you may prefer to be on a list so you don’t miss out. A deposit for each kitten is due at the time of a reservation. This initial deposit represents a firm COMMITMENT to reserve a kitten and is immediately applied to individual kitten’s vaccines, deworming and any additional supplementation, if needed. Pictures and videos will be sent to you as you wait for your kitten to grow. Important milestones, quirks and personality will be passed to you when we send updates. The balance owing is due before kittens leave our care. We can negotiate a payment plan as long as payment is received in full before leaving. We prefer e-transfer for the first deposit to: ocanada.ragdolls@yahoo.com. 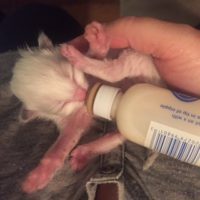 The balance can be payed 24 hours in advance by e-transfer as well or be brought with you in the form of cash when you are receiving your kitten. For families that require shipping by air, we require the balance of the kitten to be payed by e-transfer at the same time your kitten is booked for shipping. Shipping is discretionary. We choose not to ship during holidays, summer or winter months. We always prefer and will make accommodation for families that want to take their kitten home in the airplane cabin as a passenger.